The Clairo company did produce a magic lantarn around 1950. 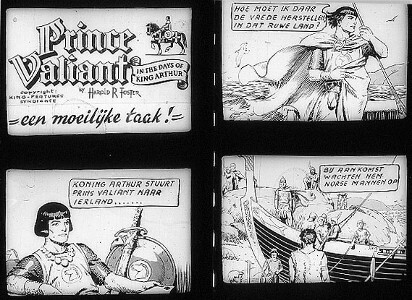 For these Magic lantarns (Toverlantaarn) two companies, Real and Funny, did produce small comic films. Several comic heroes were used. One of them was our Valiant. 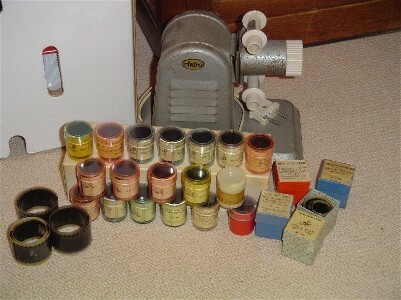 Several films are made, I have pictures of some of them. Click on pictures to get a better view. Value around 15 euro/ film.